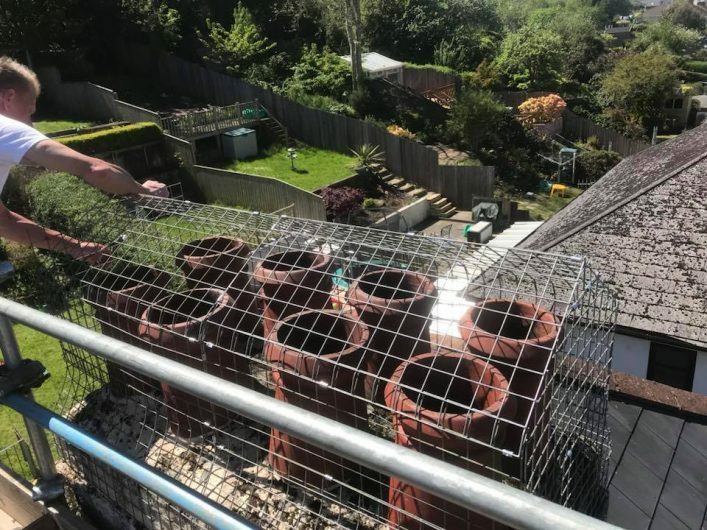 If you want to ensure that your property is protected from potential nesting birds then it is time to call in the experts in Plymouth bird netting. As spring approaches, more and more nuisance birds such as seagulls and pigeons are making their nests on local Plymouth properties. As well as being a potential health hazard, they also cause damage wherever they nest. Once they do settle, they will roost and multiply in number, bringing even more problems. While it is called bird netting it is probably more appropriate to call it anti-bird netting. This particular service is used to protect crops like grapes, fish in ponds, buildings, cars etc. from nesting birds and the damage that they can cause. Essentially it is netting that stops the bird from reaching a specific area. In many urban areas, nuisance birds such as seagulls and Plymouth love to make their nests away from harsh weather and potential predators. Netting is a highly effective and long-lasting method of preventing them from nesting. Once they have made themselves at home it can be much harder to get rid of them. They damage the stonework of buildings with their excrement and can cause damage to the paintwork of cars. 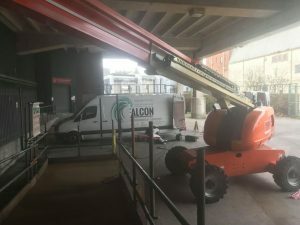 Of course, if you are looking after commercial premises where you need to access hard to reach places or you are concerned about birds nesting on the roof of your home, then call in a licensed bird control expert. At Falcon, we hold all of the necessary licensing and have years of experience in this filed so can help and advise you on the best course of action. If it is too late and you already have birds starting to nest, we can also offer you professional advice on how to move them on. Please call Matt on 01752 929292 and we will be more than happy to help.